We love babies. And we understand baby's eyes being delicate, need special care during bath time. 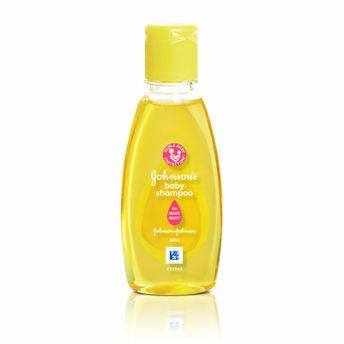 Johnson's Baby Shampoo is as gentle and mild to the eyes as pure water. It's No More Tears formula cleanses gently and rinses easily, leaving your baby's hair soft, shiny, manageable and clean. The No More Tears formula does not irritate or sting your baby's eyes. So, you can be sure your little one will not cry during a bath, letting bath time be the time for more exploration, where your baby's senses are alert and the baby is learning and growing. It helps you enhance your bath time ritual helping your loving touch gently stimulate your baby's senses critical for your baby's happy and healthy development. As gentle and mild to the eyes as pure water. No More Tears formula does not let your baby's eyes get irritated. 100 percent soap free formula, gently cleanses scalp and hair with Ultra Thin disturbing natural protective layer. Explore the entire range of Bath Time available on Nykaa. Shop more Johnson's products here.You can browse through the complete world of Johnson's Bath Time .Alternatively, you can also find many more products from the Johnson's Baby Shampoo range.